…play Scrabble all afternoon. What did you think I was going to say?? 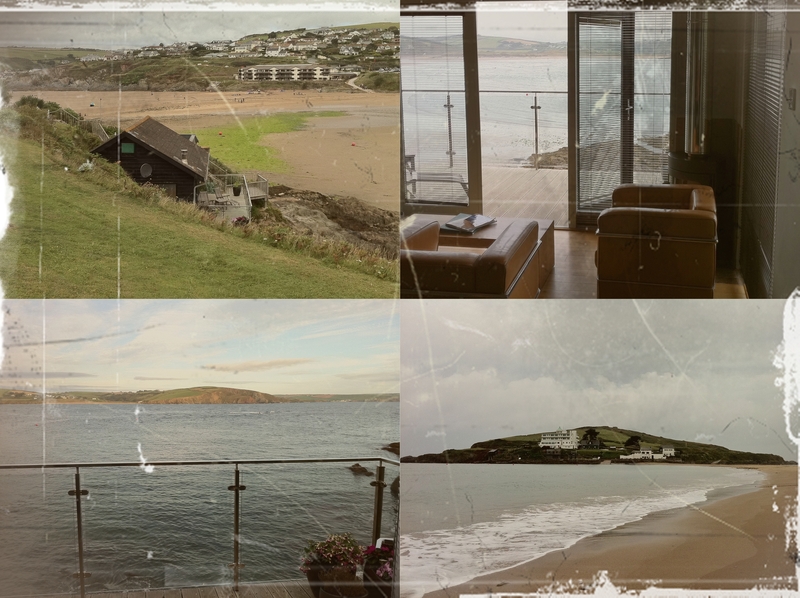 Agatha Christie wrote ‘And Then There Were None’ and ‘Evil Under the Sun’ in the Beach House so it seemed fitting to be doing something word-related. Since then we play Scrabble a lot. Apart from the romantic memories, it’s practically the only game I can occasionally beat my husband at. We play it while we watch telly or if we’re feeling really competitive, in studious silence across the dining table. When we travel by train we’ll play it on my iPhone. Be warned, if you come to dinner you’ll probably be bullied into playing it before I let you leave. Winning Solutions may have exacerbated the situation. 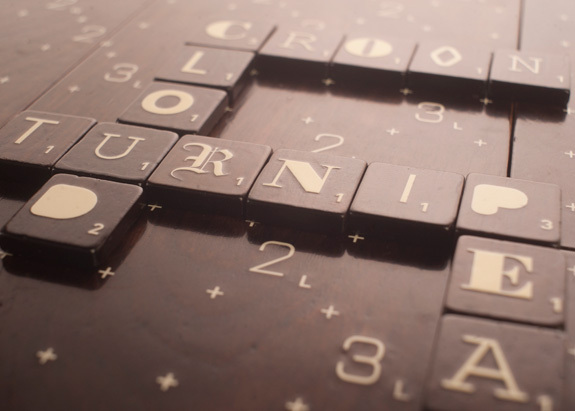 They have expertly combined my love of Scrabble with my love of typography and created the Scrabble Typography Edition. 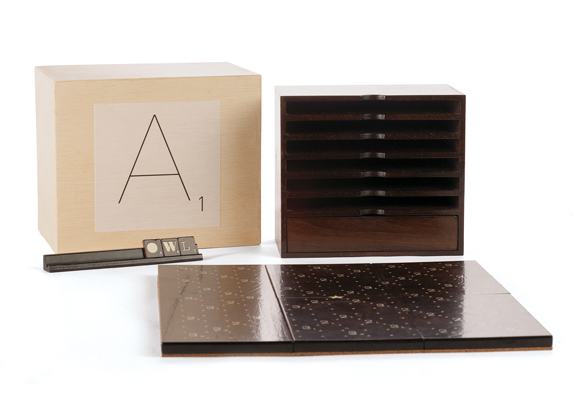 The magnetised walnut board separates into six pieces and slots beautifully into its walnut storage case and its birch cover slides over the top. Gone are the gaudy double and triple word score icons with simple numbers in their place. The walnut letters wait on metal tile racks showing off their fonts making Scrabble not only about how high you can score, but also how beautiful the board can look. It’s a limited edition of 1200 sets and sold at $199, it’s available in August but you can pre-order now. Do you prefer this or the traditional Scrabble board? scrabble typography is very classy and expensive but its worth it..i love scrabble and i am addicted to it..but i do use the original board of it..